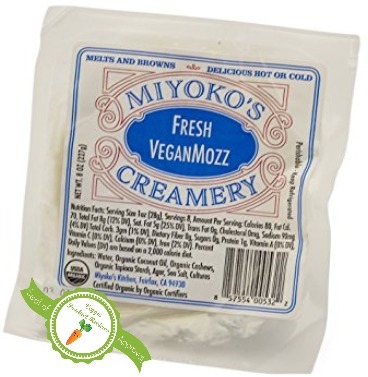 I have been waiting to try Miyoko’s vegan buffalo mozzarella for what feels like years, but I think it really has only been a year or two since it has been sold to the public. Every time I have tried to order it online, it was out of stock. It is finally being sold in stores and I jumped at the chance to give this product a try! It lived up to all my expectations and MORE! I am having a hard time locating it where I live, but was able to find it on a trip to Myrtle Beach, SC. 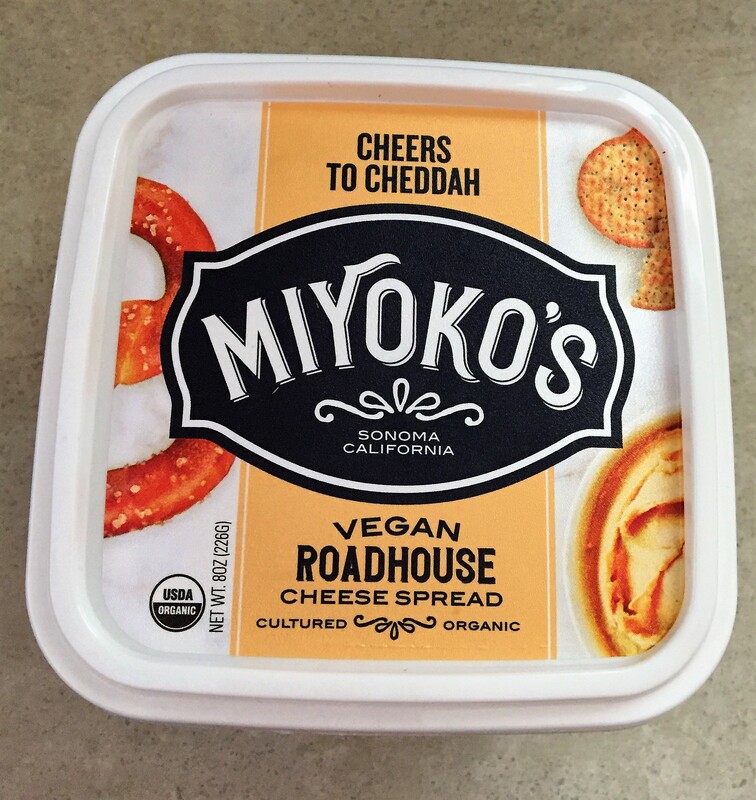 I am hoping for it to be more widely available in my local stores that carry Miyoko’s cheeses and butter. This cheese is amazing! 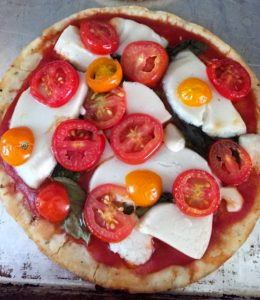 It had a texture and taste very close to what I remember fresh mozzarella made from cow’s milk. I find this cheese to be a huge win for animals. It tastes close to the original and is made without cruelty to cows! This needs another bullet point- the cheese tastes amazing and functions just like its dairy counterpart! It melts! 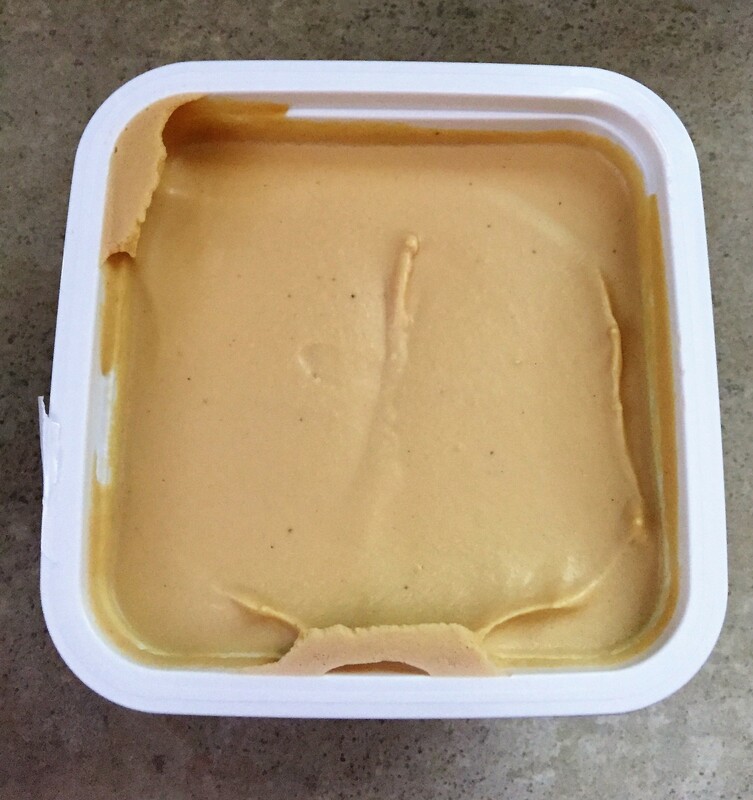 It also tastes great straight out of the package. This is amazing on pizza! It is becoming more readily available in health stores across the country. It does not have a lot of ingredients. The ones it does have are all pronounceable and ones that I am familiar with. This product is free of cholesterol, lactose, eggs, gluten and soy! This product is organic and non-GMO! The cheese is fattening at 10g a fat per serving. The serving sizes are small. The cheese has only 1g of protein and NO calcium. If we are going to get people to switch to cheeses made without the use of animals, we need it to mirror or come close to the nutrition of dairy cheese. I get my calcium mostly from greens, but new vegans or those thinking of making the switch would be more enticed by a product that had some nutrition to it. This product was $9.99 for 8oz! That is outrageous! I know this cheese is cultured, but this is not affordable for the average person. This will be a once-in-a-while purchase. I feel like I say this on so many reviews, but vegan products need to be more affordable for the average person.